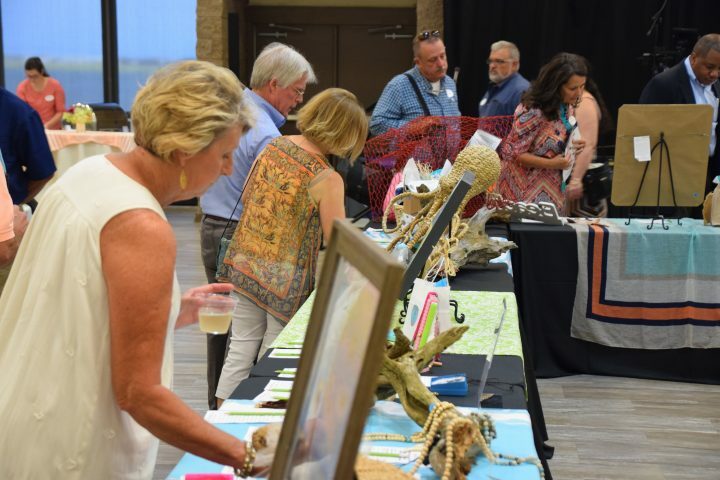 MOREHEAD CITY – The North Carolina Coastal Federation, which publishes Coastal Review Online, will celebrate Saturday the volunteers and organizations that have shown exceptional coastal stewardship during the nonprofit’s annual Pelican Awards and Taste of the Coast. The awards ceremony, set for 5:30 p.m. at the Crystal Coast Civic Center, will be followed by the Taste of the Coast event, featuring oyster growers from up and down the coast and restaurants including Southern Salt, Beaufort Grocery, Parrott’s on 11th, Ice House and Coastal Provisions Oyster Bar & Wine Café. 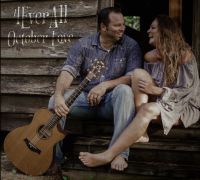 There will be live music by area band 4EverAll and a silent auction, including an Ocracoke getaway, a sunset cruise and more. Bid online at 32auctions.com/pelican2018. Bidding during the event will continue after the online portion closes. Tickets are $50 for federation members and $60 for non-members and can be purchased online or by calling 252-393-8185. The Byerses of Kitty Hawk have volunteered many hours with the federation, including by representing the organization at community events. They also transformed their yard into a “Smart Yard” by setting up a rainwater harvesting system to reduce stormwater runoff. The Byerses also own vacant land next to their home that is a natural butterfly habitat. Tom Byers said that throughout his life, he has always had a deep appreciation of the natural world around him. He and his wife moved to the Outer Banks back in 1989 partially due to the beauty and relatively untamed natural setting of the area. Vickie Byers, a master gardener, said her interest in the federation began years ago when Jan Deblieu was in the the process of establishing the federation’s presence on the Outer Banks. 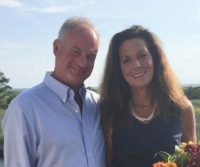 “I had known and worked with Jan and Jeff, her husband, on conservation issues in the past. She invited us to a get together to introduce the federation and her position there. I went, liked what I heard and became involved from that point,” she said. Vickie Byers said to be chosen for a Pelican Award was quite shocking. Her husband echoed her feelings about being chosen. Lynne Foster of Hatteras For Enthusiastic and Inspiring Leadership and Commitment To The North Carolina Coast. Lynne Foster organized the annual Hatteras Village Day at the Docks event that recognizes the community’s traditional commercial and recreational fishing heritage and secured community support for a 300-foot living shoreline project near Durant’s Point that helps to protect Hatteras Harbor. 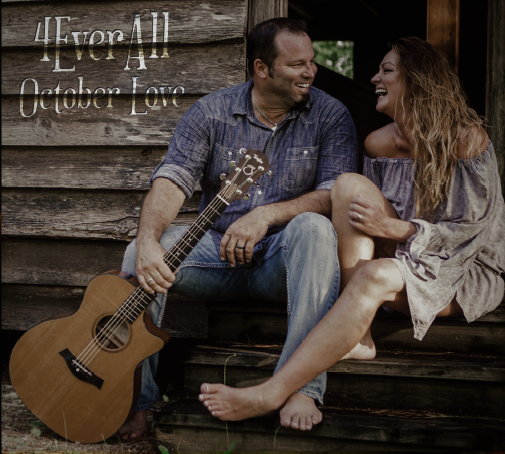 She also helps with the federation’s annual Hatteras Island Oyster Roast by working with volunteers and marketing the event. When she first moved to Hatteras Village, after many years of living in the city, she said she found herself in unfamiliar territory because she knew very little about the sounds and marshes, except for their beauty. She met at lunch one day a federation representative in the northeastern part of the state who took her under her wing, Foster explained, and she then began learning about her new environment. “I became very interested in what I was seeing and what I was learning,” and with having marsh nearby and the ocean less than a mile away, there was a lot to see and learn, she added. From there, she said she went on to join the advisory committee when it was new and otherwise volunteered when she could be helpful. About receiving a Pelican Award, Foster said she generated a passion that the federation guides. She said that she hopes younger community members become involved. They have had several kids help bag oysters over the summer. “Every time they’re out there doing something with the Coastal Federation staff, they’re learning. Getting people involved is important to me,” she said. 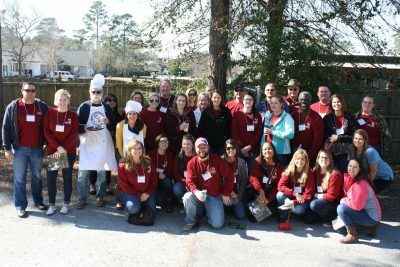 Leadership Carteret, a 10-week program that immerses its members in the places, people and issues that characterize the county, has been including the Coastal Federation’s Ocean office in its the program for well over a decade. Tom Kies, executive director of the Carteret County Chamber of Commerce, said that the federation had been part of the Leadership Carteret program since at least 2002 and is one of the high points of the learning experience. 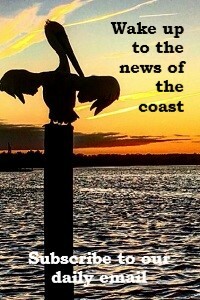 Kies said that the Carteret County Chamber of Commerce is deeply honored to be chosen for a Pelican Award. For the last nine years, students from East Carolina University have spent their spring break working with the Coastal Federation’s Ocean office on coastal habitat restoration and education projects. In the time since the partnership began, 91 students have performed service projects, contributing 1,525.5 hours in volunteer time. Lauren Howard, assistant director for the Center for Leadership and Civic Engagement, or CLCE, said that they became involved with the Alternative Break Experience through two students, more than 10 years ago now, who were interested in the federation. At the time, one staff member went with them and the partnership has continued since. Ashley Shepard, 2017 participant and this year’s student lead, said that students express their gratitude for the federation’s work. 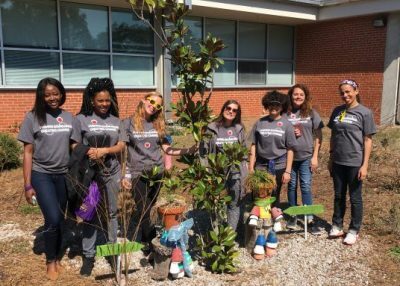 “One of the main things is that giving back to a community other than our own gives a rewarding experience, especially being that not many students would choose to do community service for all of spring break,” she said. During the nightly reflections, the students express how they would share what they learned and some of their experiences with other the student organizations on campus. Town of Holden Beach, Dunescape Property Owners’ Association, Holden Beach Property Owners Association and other residents worked together to fight the installation of a terminal groin on the eastern end of Holden Beach. The work paid off when the Holden Beach Board of Commissioners unanimously voted on April 17 to permanently revoke the town’s permit application for a terminal groin with the Army Corps of Engineers. 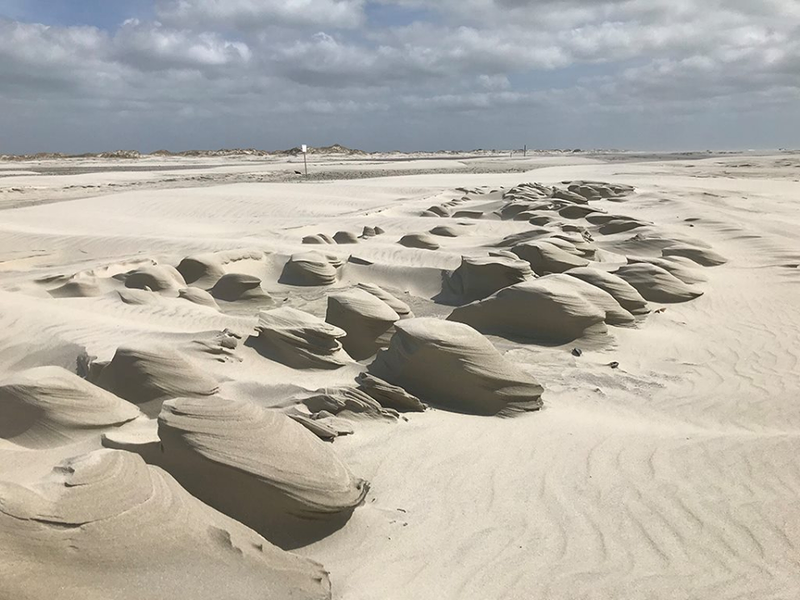 Ronda Dixon with Dunescape Property Owners’ Association said that the process to prevent Holden Beach from getting a terminal groin was a long and difficult one. 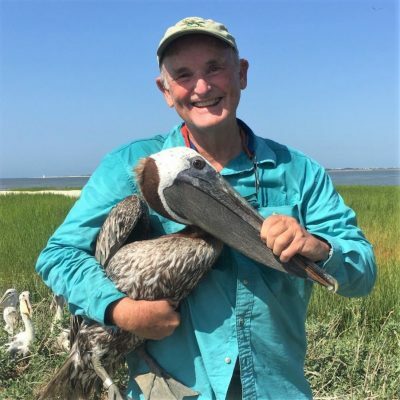 Over the last 10 years, Tom Turner of Ayden has donated more than 280 hours assisting the Coastal Federation with habitat restoration projects. 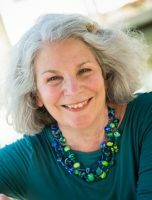 Anne Terry became involved in the federation in 2014, when she began attending speaker events hosted by the Wrightsville Beach office. She also became active speaking out against seismic testing and working on the language regarding New Hanover County’s special use permit. She said she then began volunteering with oyster restorations, marsh plantings and other volunteer opportunities, especially the coastal ambassador program, a group of volunteers that engage the public in federation’s work and projects. “(Volunteering) kind of evolved and became more and more,” she said, adding she wants to do her part to protect and restore the coastal area. Terry said she was shocked when she received her letter telling her she was awarded a Pelican Award. Wrightsville Beach Brewery was established in 2017. When building the brewery, the owners worked to save what live oak trees on the property they could and used the trees that had to be removed for lumber for the brewery. They incorporated native plants and stormwater reduction measures into the landscape and the building. The Wrightsville Beach Brewery also partners with 11 local nonprofits to donate proceeds from its rotating Beer of the Month program. The Oysterman’s Stout has benefited the federation each March, and Wrightsville Beach Brewery has helped the federation promote its mission and programs. “Partnering with the North Carolina Coastal Federation is only natural for us because it really helps our customers understand that you can enjoy local oysters in a sustainable manner,” said Jud Watkins, head oyster shucker. 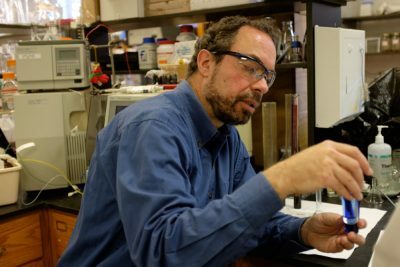 North Carolina State University’s Detlef Knappe and his team of researchers nearly five years ago detected high concentrations of several industrial chemicals in drinking water, including 1,4-dioxane and GenX, compounds. Knappe’s research group and the Environmental Protection Agency, published these findings in Environmental Science and Technology Letters in November 2016. In 2016, Knappe began alerting state and federal agencies. His concerns were ignored until the Wilmington StarNews published his findings in June 2017, leading to the ongoing investigations into the presence of industrial contaminants found in the drinking water of thousands in the southeastern North Carolina. Knappe wrote in a written statement that it was a great honor to receive a 2018 Pelican Award for their work on GenX. He thanked two researchers that he collaborated over the last 7.5 years, Andy Lindstrom and Mark Strynar, who work in the National Exposure Research Laboratory at the US EPA in Research Triangle Park. “They were instrumental in discovering GenX and related compounds in the Cape Fear River and in the drinking water of more than 200,000 North Carolinians, who live in the Wilmington area,” he also thanked Elisa Arevalo, a former master’s student, and Mei Sun, a former post doctorate, who collected samples in the field and analyzing them with mass spectrometers in the laboratory. “It was Elisa’s and Mei’s efforts that led to the publication of our GenX results in a scientific journal, and this journal article helped bring the GenX issue to light,” he said. 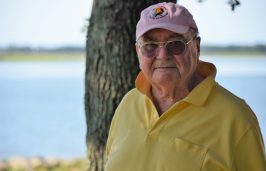 During the last, 15 years, Tom Earnhardt has written and produced more than 80 episodes of the statewide UNC-TV natural resource series, “Exploring North Carolina.” Many episodes featured the Coastal Federation and its partners, including the construction of the Swan Island Oyster Sanctuary and the organization’s work to improve water quality on the coast. Earnhardt said that what inspired him to include the federation in his work is because no organization in government or the private sector knows the Tar Heel coast better than the federation. “For years, I have been impressed by the Federation’s ability to address long-standing problems by working with all stakeholders — business, fishing, tourism, environmental, governmental, agricultural, etc. — from the Virginia border to the South Carolina line,” he said.